January to June is the fishing season in UAE. You can witness many fishermen preparing for the fishing season. During this time of the year fishermen are very happy and anticipate if they would get great catches in the fishing season. Most commonly fishermen get great catches and make good money out of the sale which helps them in improving their financial standing and family income. To get a great catch in this season even the fishermen have to prepare and work for it. One of the most important things you should know before going for fishing is the type of fish you want to catch. Make sure you know about the biology, diet and habits of the fish you want to catch. You also have to find out the fishing calendar of the area. This will help you know the best location for catching the fish you desire to catch. One of the best and important tips for any fishing experience is to know the best location to get some catch. Some of the best points for fishing are structures and rocks like humps or submerged wood which are present in shallow water. Make sure you look for the right spot or location where you have guarantee of getting a catch. If you are really serious about fishing and want to catch a good lot of fishes then you have to get good quality gear for fishing and best hooks and lines in the market. It is not necessary that you get the most expensive gear in the market, but it is important that you get gears which are best in quality and worth the money. It is possible that some of the cheapest fishing equipment can work wonders in your fishing experience. The bottom line is just to focus on the quality of the fishing gear you use. For any experience in the sea like sailing or fishing you should know how to tie a good and secure knot. It is very important that you should have strong and secure knots. Weak and loose knots can affect your fishing experience and sometimes danger your safety. Once you catch a fish make sure you sharpen the hook with a good file so that it is freshly prepared for a new catch. One of the important rules of fishing includes deciding the best time for fishing. The best times for fishing includes 30 minutes after sunrise and sunset and moonset and moon rise. Even if you are fishing for fun or for professional reasons you should take care of the above mentioned tips. 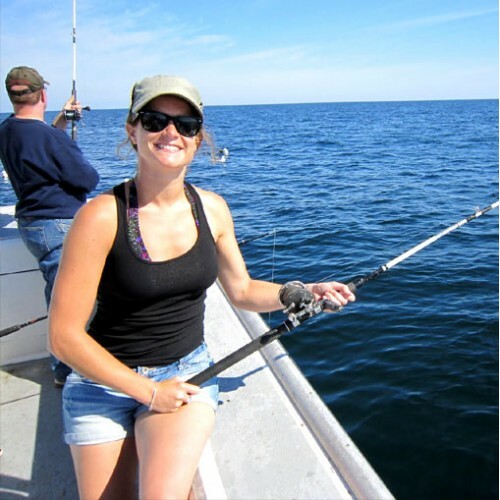 Following the above mentioned tips will help you to have the best fishing experience.